Tangled and True: valentine express. 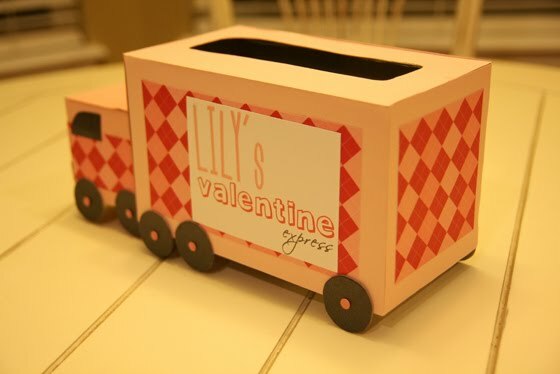 a "Valentine Box that doesn't look like anybody else's"
Font used for Valentine "just another font"
Font used for express "scriptina"
If you made a Valentine box, I'd love to see it! I've been waiting to see what you'd come up with. I knew it would be amazing and it is! I'm so excited for Lily! I wish Andrew got to make his own box! I would totally copy yours :) adorable! This is soo sweet! I want to make one for my girls! Wow!! great. Really great creativity. Nothing need for any valentine. over loved ones do like things especially for us, we don't want anything in this world. Lily... you are really very...... lucky. Kleenex box, GENIUS!! I always use shoe boxes, but then I always strees about cutting the hole in the top. Luckily this year we only had to make one. Lily's turned out so cute!!! I love it! 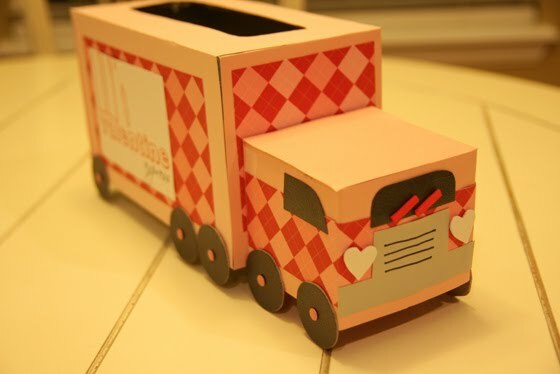 We make Valentine's boxes at school with my students, they end up kind of looking like covered wagons from the Oregon Trail, except with an explosion of pink and purple hearts all over. This is such an adorable idea! I especially love the straw- windshield wipers! Precious! Would you be willing to link up this idea to my Valentine Link Party going on now? I'd love to have your creativity! Thanks.